This week has slowly been getting worse. It started out fantastic with my daughters birthday and went from bad (site deletion) to worse (mums aren’t allowed to be sick you know that right?) So I thought I could share a snippet of my daughters birthday with all of you and you never know it might inspire you. Monday for us was the day of The Great Elf Hunt. My kids are infatuated with Ben & Holly’s Little Kingdom and when it comes to playtime here at the cottage they usually want to play in the garden and look for faeries and elves. 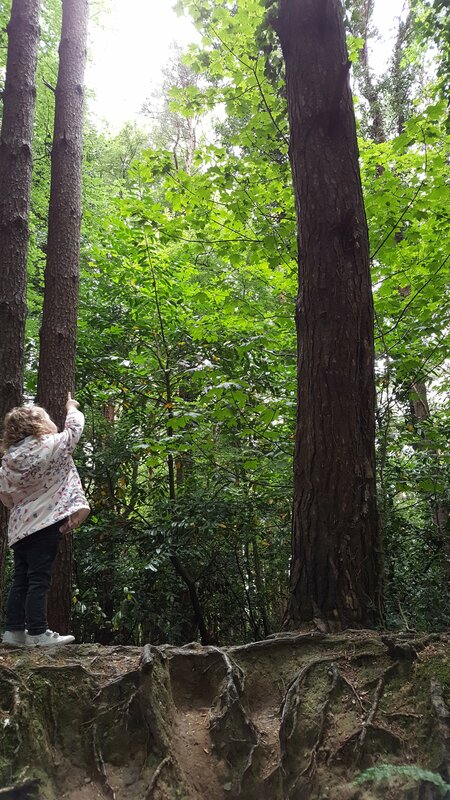 So for T’s birthday, we went on a trip to Malahide Castle to hunt for elves in the woods. 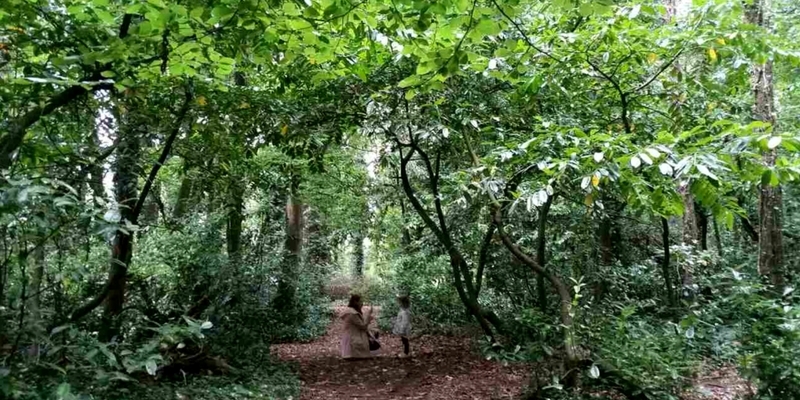 This place is magical it has beautiful woodland, a fantastic playground, BBQ area, butterfly garden, tea rooms and well everything you could want with the added luxury of a castle on the grounds too. In short a little girls dream. I would love to say we are great parents and have all our ducks in a row but with everything going on with work, events, renovations etc. we were stuck for a present for T. I bounced back and forth with ideas but couldn’t settle on one and we always have a family day for birthdays as the kids are so little at the moment and what they really love is time together with us playing and going on adventures. So off we went, a family of four equipped with rain gear because we live in Ireland and oodles of curiosity and excitement. I was not the best on Monday I was tired, sick and doing my best to be happy when all I really wanted to do was crawl under some covers and just sleep. I sucked it up and at times not well but that’s when my Husband took over with the magic of storytelling and popping a coffee in my hand. I love being surprised by my husband and he never ceases to do just that in both good ways and bad but on Monday I saw him being a parent to a three-year-old and I was surprised. T plucked the pine cone from her daddy’s hand with a look of pure joy on her face. She came running over to me to tell me what had happened because myself and her little sister couldn’t climb the ridge to where they stood. I asked her if she was ready to make a wish and she said no. At 3 I was sure she would have something she wanted but no she didn’t. She said she wanted to fly but didn’t want to use her wish on that. Phew because I have no idea how I would have made that work! So we wandered on through the woods, playing, hunting for mushrooms, taking photos and generally just having fun being a family. As we turned to head on back to the butterfly house and private gardens, T grasps my hand and pulls me down to her level. “Mommy, I want to keep my wish. Here can you mind my pine cone” and she tries to pop it in my pocket. So that was it. This child had just been given the chance to choose anything she wanted but obviously, it was an important decision because she really needed to mull this over. The next day she hunted out her pine cone from the buggy and brought it to me. She had been watching My Little Pony and I was ready, I knew this was the moment our little girl would ask for a pony. I was coming up reasons as to why the elves couldn’t give her a pony, where would we even put a pony! So, I steeled myself and got down to her level. I was taken aback and I didn’t know what to do I was sure she was going to say pony. I didn’t move but she pulled out my hand and placed her pine cone in it. “I want the elves to build me a scooter in their workshop like Scootaloo.” So we went into the back garden, found our magic elf tree and popped the pine cone underneath. We told the elves and we left them a handmade elf wreath for their door and that was it. That evening daddy the elves delivered a My Little Pony scooter to Taryn and the magic of the elves continues. She was so delighted she thanked the elves and mammy and daddy but she has slept holding her scooter since it joined us. I think we got off lightly but T couldn’t have been happier for her special day and I don’t think I could have either. I learned a few things on Monday. My daughter at 3 is fearless with endless curiosity and imagination. The simplest things make her happy and I love this time with her. I also learned it’s ok to take a back seat in parenting and that it allows my husband to shine in ways he doesn’t get to midweek. More daddy daughter days o’ fun ahead I think because it’s Friday and all I can do is lounge on the couch and try to get better.